Cake Stackers™ turns the tiered wedding cake stands world upside down! Do you stress stacking cakes? Tired of cutting dowels? Want to know how to make a wedding cake straight and perfect every time? 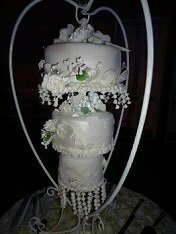 Is there a tiered cake stand stacking system that can hold a wedding cake of any size secure during transport? The Cake Stackers™ tiered wedding cake stand is the most secure; time saving and cost effective cake support system available. It's strawberry season. What better way to showcase this popular fruit but in a beautiful cake to celebrate Spring. The most expensive part of making a cake is your time!Sure, dowels and foil covered cake bases cost money that you don’t have to spend anymore. But your time is, by far, your biggest expense. Do the same work in less time. Spend your valuable time decorating instead of measuring and cutting dowels. Stack a 6-tier wedding cake perfect straight in under five minutes even if your cakes aren’t level! Deliver your cakes pre-stacked safely and spend less time at venue set up. Our stacked wedding cake support stand makes your cakes straight, level, and safe to travel. One of the best feelings is seeing the look of excitement and appreciation when your client sees your cake creation. A perfectly stacked wedding cake that’s straight and perfect and can never fall, droop, or sag will make you the envy of all and sought after by cake clients. Turn it upside down cake stand! Cake Stackers™ pays for itself! Don't waste your time & money buying dowels and foil base plates. Think about how much money you spend per cake - $5 - $10 - or more? How much is 1 hour of your time worth - $10 - $20 or more? At just one cake per week that can add up to over $100 per month! Four cakes per week add up to over $4,000 per year in earnings. 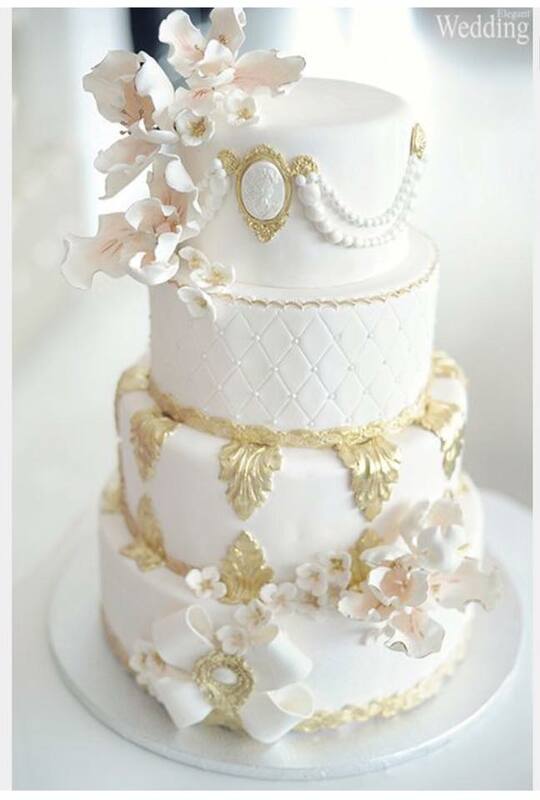 Brides love perfectly straight wedding cakes. 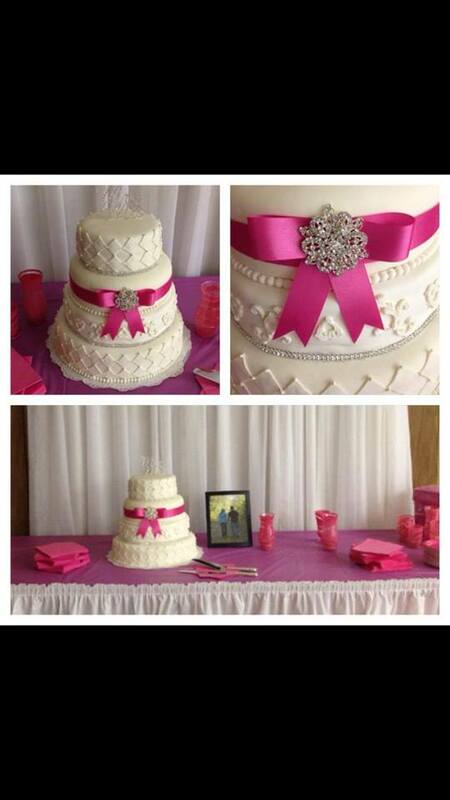 Many of our cake decorators charge a rental fee for our wedding cake stands. Cake clients will gladly pay a few dollars more for the security of knowing their wedding cake will be safe and perfectly straight. 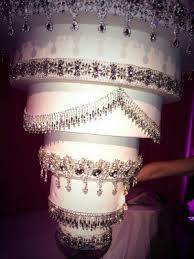 Never stress again about a wedding cake shifting, sagging, falling, or being perfectly straight. CakeStackers™ wedding cake stands keep your product safe during delivery and stable while carrying. Turn it sideways or even upside down! 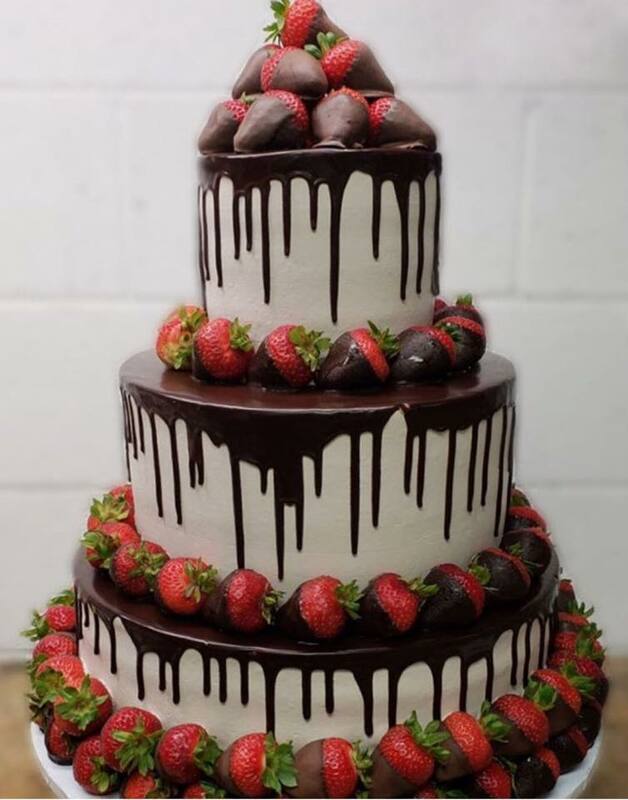 We don’t recommend that you turn it upside down at the wedding reception for people with heart conditions, however, if you want to go ahead, your cake is safe! Our point is that if you can turn your cake sideways without it shifting, you will have the confidence and piece of mind knowing that your cake is safe and straight on every delivery turn, pick up, bump, or brake. Square or round, whatever fits the mood. With CakeStackers MiniPro, so easy and yet perfect for any occasion. You are only limited by your imagination. Available here. Just select the MiniPro from the drop down menu on the round or square page. Cake Stackers™ are available in a 2 tier cake stand, 3 tier cake stand, 4 tier cake stand, 5 tier cake stand, 6 tier cake stand, and even higher for a tall tier cake stand! 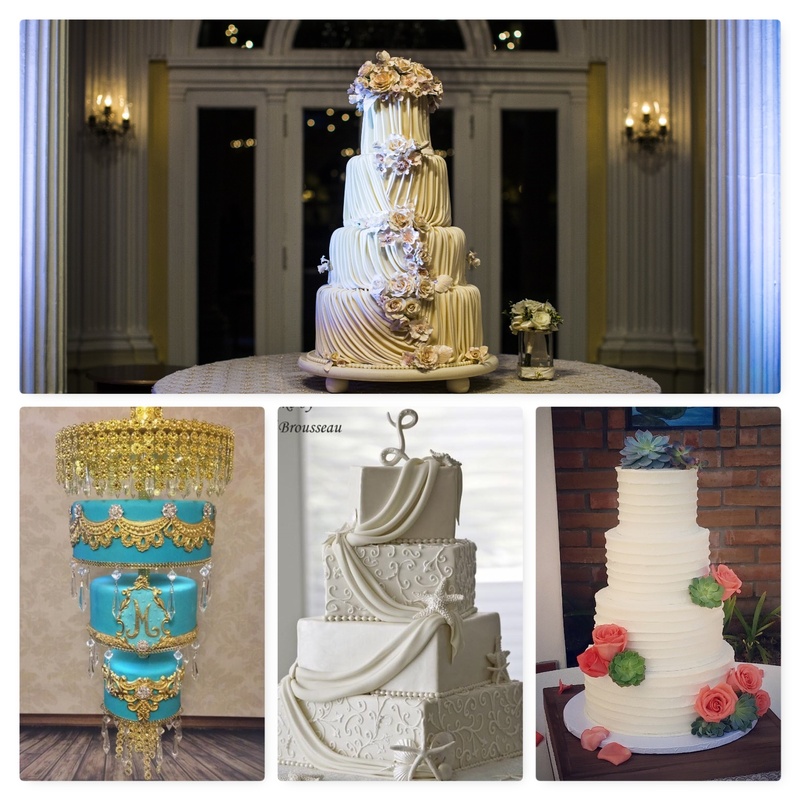 Our Versatile stacking system will assemble as a traditional cake stand, modern cake stand, cascading wedding cake stand,tall tier cake stand, upside down cake stand, square cake stand, pedestal cake stand, offset, or a topsy turvy. Even use as a wedding cupcake stand with an anniversary cake topper! Build your own wedding cake stand tier by tier mixing sizes from 6 inches to 16 inches and cake tier heights from 3 inches to 6 inches. The Cake Stackers cake stand center post will assemble to exactly match the height of your cake tier. For large wedding cakes, double stack the same size tier for a tier height of 8, 10, 12 inches or more that will not sag! Every cake tier will become perfectly straight when placed in our wedding cake stand, even if your cake is not exactly level. Use Cake Stackers™ and see how to make a topsy turvy cake stable, even if you turn it sideways, it won’t fall or shift. Cake Stackers™ are an aluminum and stainless steel cake stand that is built to be reusable. Our all metal cake stand holds up under extreme conditions where plastic cake stands can fail. Try turning any other tiered cake stands sideways. No, don’t do it! Assemble your cake support system as acake decorating turntable to the exact height and width you need. From 13 to 21 inches in diameter and from 4 inches to 20 inches high! The optional turntable attachment is a fraction of the cost of a professional cake decorating turntable. Additionally, the modular system allows you to assemble as small or as large as you need for the job. Watch Cake Stackers in action below and see it to believe it! Your versatile Cake Stackers™ cake support system assembles as an adjustable fondant cutter! Use the center posts, stainless dowels, spacers, and metal washers to assemble a gum paste or fondant cutter. Use the spacers to adjust from 1/8 inch up to 6 inches wide to get the exact size strip you need. Try it and see for yourself what a Cake Stackers™ wedding cake stands support system can do for you. Tall Tier Cake Stand Perfectly Straight Large Cake Stands by Cake Stackers™Amazing tall tier cake stand perfect straight that will impress any professional cake decorator? Adjustable Wedding Cupcake Stand Tiered by Cake Stackers™This unique wedding cupcake stand is adjustable to many sizes, designs, heights and styles that will give you many cupcake stands for the cost of one. Cascading Wedding Cake Stands Unique by Cake Stackers™These unique cascading wedding cake stands are adjustable to many designs and styles that will give you many cake stands for the price of one. Adjustable Cake Decorating Turntable and Stand by Cake Stackers™This cake decorating turntable is adjustable from 13 inches to 21 inches in diameter and from 4 inches on up to 20 inches high. Spiral cake stand support system by Cake Stackers™This unique spiral cake stand cake support system is adjustable to many sizes and heights that will give you several cake stands for the cost of one. The Square Wedding Cake Stand Perfect Straight by Cake Stackers™Square wedding cake stand stacking system that aligns square wedding cakes straight perfect without cutting dowels and keeps cakes safe from shifting during transport. Chandelier Cake Stand by Cake Stackers™Assemble as a chandelier cake stand, tiered cake stand, cascading cake stand, spiral, and many other designs all in one cake support system.